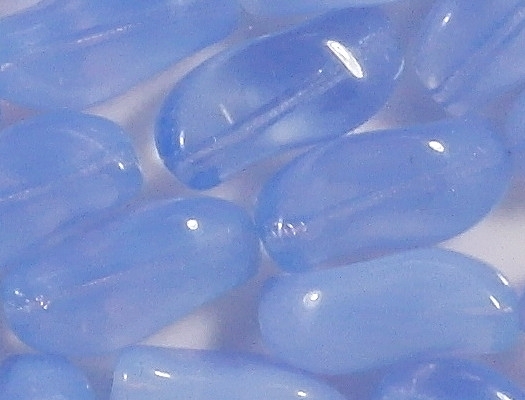 Size/shape: 15mm (long) x 7mm (wide) wavy ovals. They are, in face, similar in shape to the tilde character (~) but quite chubby. 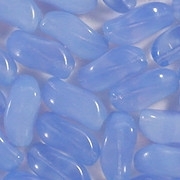 Colors/description: Milky light sapphire blue. 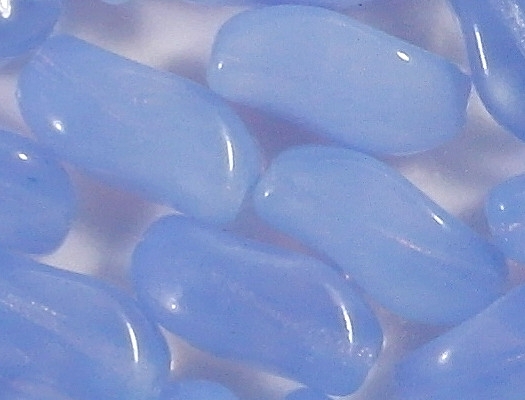 The beads range from very milky (with a lot of white in them) to mostly translucent. 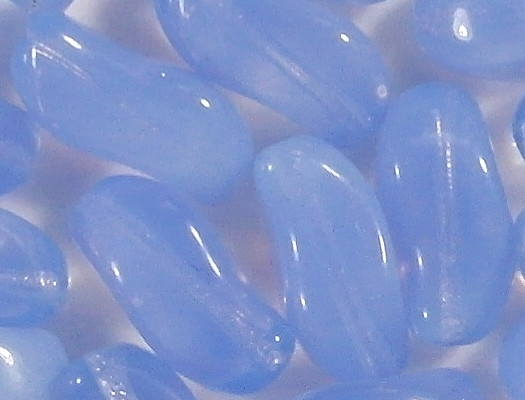 Defects: The holes running through the beads are a little rough, and you can see that roughness through the glass of those beads that are mostly translucent. How photographed: Under two daylight-balanced lamps. 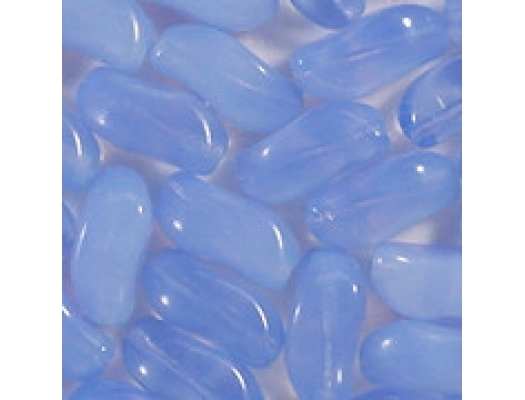 Note: Using lamps leaves two bright spots on each bead -- especially on round beads -- but that can't be helped. Also, the close-up shots may show defects that the human eye can't discern. Comments: I don't remember when I got these beads. I think I bought them in the 1980's when I was making jewelry myself. 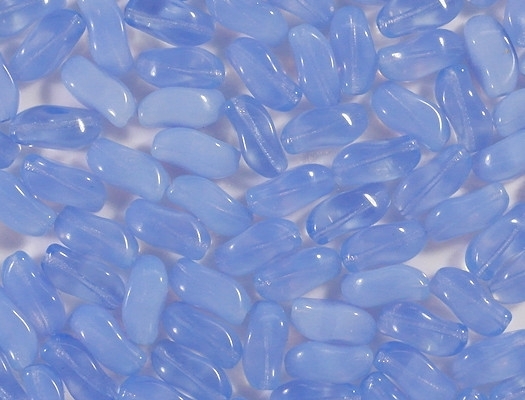 They're nice and colorful, though I don't see them as being very sophisticated. Caleb's notes: It's possible that I got these beads from E, but given that I have an odd number of them, I don't think so.